The Albany-Santiam Canal is running full these days. There’s been plenty of rain. All this rain we’ve been having naturally leads to more discussion of — what else? — climate change. On that subject, like on many others, you don’t have to believe everything you hear. And especially on climate change, there’s a handy tool you can use to check the facts yourself. Last winter was relatively dry. It was very dry in California too, which caused media types to notice the phenomenon. There were predictions that the West faced more and more severe droughts, and that this was further proof that “climate change is real and it’s here,” as the believers like to say. 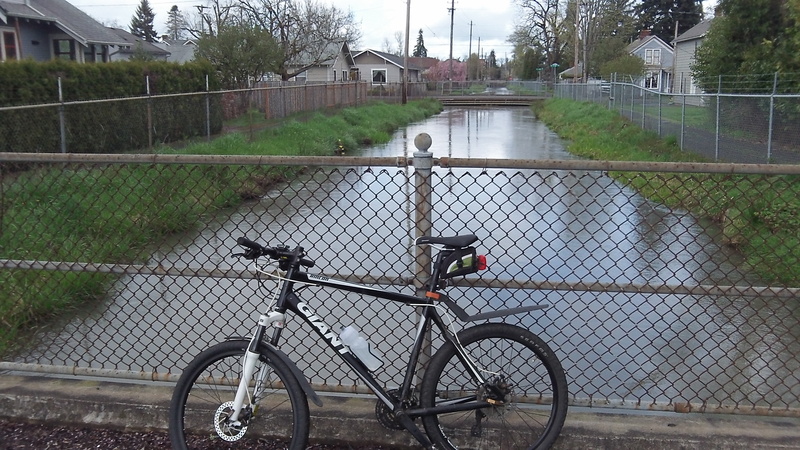 Now, though, the rain seems to have caught up, at least in Oregon. Precipitation in the mid-valley has reached about 17 inches since Jan. 1, compared with 6 inches last year and the average by this date of 16 inches. Doesn’t look like much of a drought anymore. Not that this would discourage people from arguing about climate change, or more specifically global warming caused by man. The other day The Oregonian published a guest opinion by Gordon Fulks, a retired astrophysicist living in Corbett, taking issue with global-warming believers by noting that the data don’t bear them out. He wrote that “Oregon’s climate has been cooling for a long while and the global climate has not warmed in 16 years.” This prompted heated rejoinders in the Portland paper, including one from Alan Journet of Jacksonville, a retired professor of biology and environmental sciences at Southeast Missouri State University who is active in Southern Oregon Climate Action Now. “One of the well-known tactics of climate change deniers is to report data that no one else can find and claim these deny science,” Journet wrote. “This is the tried and trusted technique of Sean Hannity and the staff at Faux News.” Never mind the gratuitous insults, but no one can find the data? As luck would have it, the federal government has made weather and climate data available to anyone with access to the internet. There, NOAA’s National Climate Data Center reports weather data for every state, the nation and the entire world from when records began through the current month. The site is interactive, so you can adjust the time spans. For example, if you want to know whether Oregon as a whole has warmed, on average, from 1990 until now, you will find that no, it has not. The NOAA data show a slight downward trend of 0.1 degree Fahrenheit per decade for those 24 years. You can check the same period for the Willamette Valley alone. And here, the cooling trend has been more pronounced, 0.4 degrees F per decade for the same period. You can check rainfall as well. Over the last quarter century, the yearly precipitation in the valley has fluctuated wildly over every four to five years, but the annual average of about 58 inches has trended down hardly at all, slipping about six-tenth of an inch per decade. But if you take the entire record of rainfall readings, from 1895 through February 2014, the valley rainfall trend line runs horizontally, indicating only a tiny change, an upward trend of 0.15 inch per decade.